Preti Flaherty Partner Michael L. Lane is among a select group of authors chosen to contribute to the recently released “A Practical Guide to Land Use in Maine”, an authoritative source on the legal topics associated with the protection, use, and regulation impacting Maine’s geography. Lane practices in Preti Flaherty's Real Estate Group out of the firm’s Portland, Maine office. With extensive experience representing a variety of clients in all aspects of real estate and land use law, Lane was selected to author a chapter focused on the owning and operating of forest and agricultural land in Maine. The comprehensive practice guide also includes a variety of statutory and administrative topics including licensing, permitting, municipal growth management and zoning, subdivision law, enforcement of land use regulations, easements, wind energy, and shoreland zoning. At Preti Flaherty, Lane has developed a strong timberlands practice representing mills, land management companies and industrial land owners in complex timberlands transactions, including acquisitions, sales, operating agreements, wood supply agreements, underwriting timberland titles, Land Use Planning Commission (LUPC) development compliance and permitting. He routinely appears before municipal planning boards, LUPC and the Department of Environmental Protection to permit residential, commercial and industrial projects. 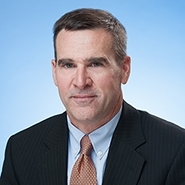 He also serves as Vice President and General Counsel to Charter Title Company, LLC, Preti Flaherty's wholly-owned subsidiary, a respected agent for a number of nationally recognized title insurance companies. He has substantial experience in underwriting and negotiating title insurance coverages involving multisite, multimillion dollar commercial transactions, particularly energy, industrial and timberland properties, covering Maine, Massachusetts and New Hampshire.